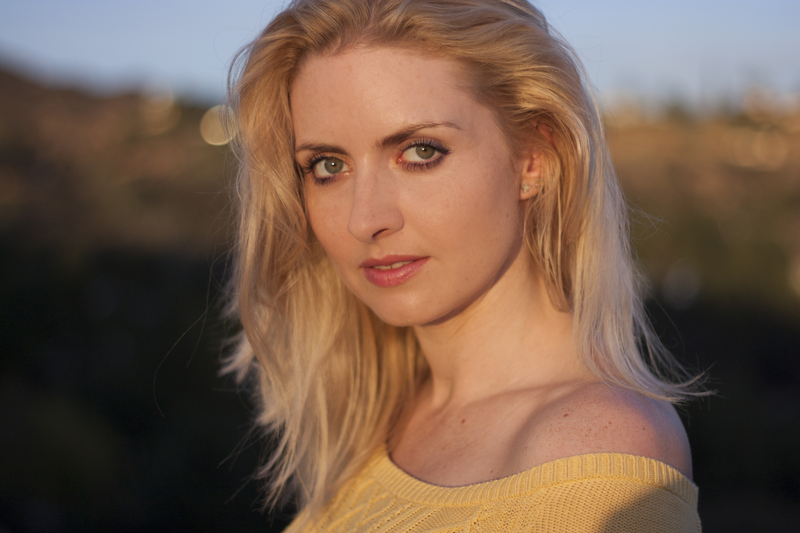 An Interview with One of Canada’s Hottest Actresses, Sarah Jurgens! Over the last five years UK-born actress Sarah Jurgens has amassed an impressive repertoire of work on both the stage and screen; and as she continues to grow her artistry with new projects and diverse roles audiences around the world can rest assured that we will be seeing a whole lot more from her for years to come. Jurgens landed one of her first television roles as Gaia on the hit Gemini Award winning series Lost Girl, followed up by her role as Karina Vost on the Golden Globe nominated series Covert Affairs. A breath-taking beauty by anyone’s standards, what makes Jurgens so special, aside from her aesthetic appeal, is her emotional range. Her ability to get inside each and every one of her characters and seamlessly bring them to life regardless of the genre has made her a sought after actress for roles in the international entertainment community. The actress recently wrapped production on the TV miniseries Green-ish directed by multi-award winning filmmaker Matthew Kowalchuck, and she is slated to star in the upcoming film Country Time, which will be directed by Jonathan Bensimon. SJ: I was born in Epsom, United Kingdom. My family is from Cape Town, South Africa. We immigrated to Canada and I grew up in British Columbia. I was hooked on the power of theatre the day my dad took me to see “Cats” on Broadway in London, England when I was 5. I got involved in musicals in high school for fun, and then decided to train as an actor through the acting conservatory at York University. PLM: Can you tell me a little bit about the film and television projects you’ve done? SJ: I played the Russian wife of a big time business man in Two Hands To Mouth, a drug addicted photographer who loses all sense of reality in The Man In The Shadows, and the girlfriend of a Trailer Park Boy driven mad by jealousy with an obsession over an ex-punk rock star in Swearnet. Two Hands To Mouth is a dark, comedic, politically-driven feature film where eight blind folded guests assemble at a secret pop-up restaurant. Chef Michael Bradori is back, sober and ready to reclaim his former glory. Food, wine, greed and lust fuel the appetites in the room. Things take a shocking turn when the dining room is transformed into a minefield of political and personal danger where the characters come under threats of guns and violence. I played Anya, the Russian wife of a business man named Frank, who was played by Joe Pingue from the films Drive, The Book of Eli, Pompeii. Working with a Russian dialect opened up a very specific emotional range for me. It was incredibly fun to play a woman so secure in her sexuality and power. It was also an invaluable learning experience working with veterans like Kate Trotter, Ernie Grunwald, and Vincent Walsh. In The Man In The Shadows I played Rachel, a photographer addicted to prescription drugs who starts to lose her sense of reality as she grapples with her broken marriage and her nightmares. The most challenging thing about this project was arcing the character’s decent into delusion. It was a small team of people, so we were able to get to know each other well and had a ton of fun. It opened at the Dances with Films Festival in LA, Cinefest and Scare-A-Con in New York where it was nominated for Best Feature and Best Actress. Filming Swearnet was the most fun I’ve ever had on a set. Mike Smith, Rob Wells, John Paul Tremblay and Tom Green were constantly improvising, keeping the scenes fresh and hilarious. I played Julie, the girlfriend of Rob Wells, who is consumed by jealousy. The director, Warren P. Sonoda, created a working environment that was fast-paced and creatively freeing. We were often encouraged to stretch the boundaries of the characters actions, and the improv elements kept me on my toes. Julie spends the majority of the film making her boyfriend’s life a living hell. I anchored her destructive behaviour in deep insecurity and an insatiable desire for attention and drama. It was such a blast to be able to run wild with her. The amount of laughter and playfulness that surrounded the set everyday was an uplifting environment to be in. I developed some life long friends on that set. SJ: Two Hands To Mouth allowed me to work in the world of money-laundering, power-plays and female politics in a mans world. The Man In The Shadows gave me the permission to explore the experience of being haunted, hunted and stalked. By playing the character of Rachel, I was given the opportunity to live in a state of mental unraveling. I enjoyed the challenge of playing a character that was wrestling with truth and illusion, experiencing the slippage of her sanity. Playing Julie in Swearnet gave me a chance to play with jealousy and extreme insecurity in a world of over-the-top comedy. Her unpredictable behaviour made her a loose canon, and the working environment allowed for much improv and play. PLM: You get approached all the time to work on projects with people, what makes you pick one role over another? SJ: I choose roles based on challenge. If any sort of fear bubbles up when I encounter the script, I know it’s because the material is resonating with me, and whatever the character represents is a chance to explore that aspect of myself. I also get really inspired when the creative team is composed of artists who are equally passionate about telling the same story, and taking risks with it. SJ: One of my favourite theatrical experiences was acting in the play, “The Bewitched.” Set in 17th century Spain, “The Bewitched” is the story of the last of the Hapsburg royal line, a family of rulers so inbred that their diseases prevent them from producing an heir to the throne. The physical manifestation of corruption mirrors the appalling deterioration of the state and church, in an interpretation of the irrational fanaticism that led to the War of the Spanish succession. I played the role of Queen Anna through Theatre @ York directed by Nigel Shawn Williams. It was an incredible experience playing a historical figure. Maria Anna of Neuburg was Queen of Spain from 1689 to 1700 as the second wife of King Charles II. It allowed me to explore her explosive anger, resulting in seizures and phantom pregnancies. Since then I’ve acted in and produced new Canadian plays with my production company The Blood Projects. In “Little Tongues,” I played Tessa, the jaded daughter of a broken family. The production received extraordinary reviews from several outlets including Now Toronto and Mooney on Theatre. I also played Eve in “This Is It,” a young woman navigating her way through a relationship guided by a broken heart, which received rave reviews as well. PLM: What has been your favorite role so far and why? It was empowering to work with an inspiring collective of female artists, because everyone in the room was willing to take risks under the leadership and artistic genius of Yael Farber. I would love to work with her again in the future. PLM: What is your favorite genre to work in as an actor? SJ: I find myself fluctuating between drama and comedy. Drama is usually my preferred genre to work in, but comedy provides a fierce challenge that I respond to as an actor because as everybody knows, it’s incredibly difficult to pull it off successfully. SJ: I’m passionate about character exploration and really enjoy using different techniques to approach the work. Because I grew up with the gift and privilege of traveling to different areas of the world where my extended family resides, I developed a keen ear for dialects and accents. I really enjoy dialect work, it often opens up an entirely new inner-landscape for me to draw on as an actor, and it brings an edge to the character that I otherwise may not have found. I am also inspired by painting, singing, boxing and dancing, so I try to bring whatever alternative artistic experiences I have at the time into the project I’m working on as an actor. My goal is to continue growing, and for my work to come from a place of spontaneity and authenticity. SJ: I’m currently writing my own feature length script and am about to work on a film called Country Time with director Jonathan Bensimon and producer by Evan Landry. SJ: I want to keep creating the type of theatre and film that I’m interested in. I work to write and act from a personal place. I’m currently working on a feature length script as well as a photography project about the relationship between a woman and her body. PLM: What do you hope to achieve in your career as an actor? SJ: I would like to play strong female characters who aren’t written as stereotyped or defined by patriarchal ideas but rather deeply human. I would like to work with Xavier Dolan, Lena Dunham, Patty Jenkins and Yael Farber. I would like to work on film and theatre that isn’t afraid to engage audience members and ask pressing questions about the nature of our humanity. Some films in recent years that have shaped me as an artist include The Tribe, Blue is the Warmest Color, and Mommy. I hope to get to a point where I can strike a balance between acting in and producing my own projects. PLM: What kind of training have you done? SJ: I trained in the acting department at York University and graduated with my BFA. I continued to study with David Rotenberg (pro-actors lab) and Michèle Lonsdale Smith. SJ: I chose acting as my chosen passion and profession for selfish reasons really. It was the art form that I found most challenging and demanding in terms of self-exploration. As I grow as an individual, I also grow as an artist. It is an ever-evolving process and it’s one that keeps me asking questions, and keeps me engaged with life. I have been profoundly shaped by fellow actors, directors, writers, theatre-makers and filmmakers. It is a world where I feel the most at home, and the most alive. 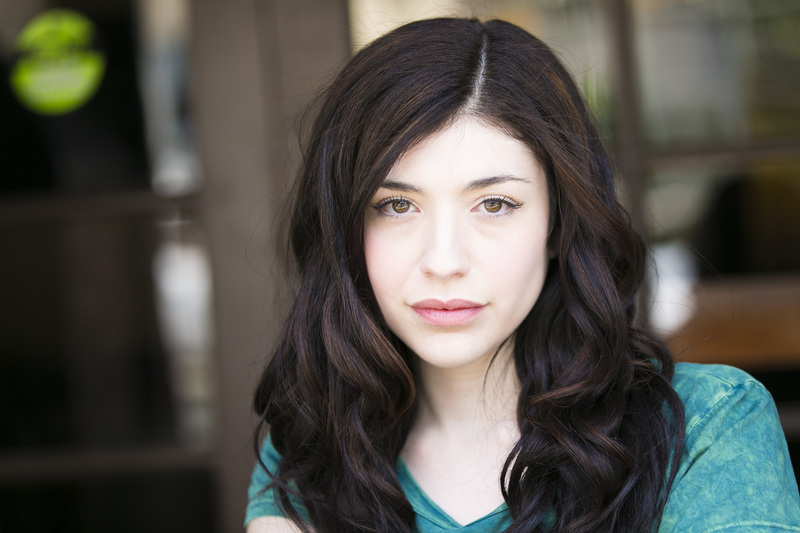 Rebekah Miskin was born and raised in Toronto, Canada, and knew right from the start that she wanted to be a performer. At age three she hit the stage as a dancer, and ever since she’s been inspired by the arts. Acting, writing, producing, and DJ-ing are just a few of her talents. Aside from performing as a dancer for 18 years, Rebekah is most widely known throughout the entertainment industry for her diverse acting prowess. Over the course of her career Rebekah has performed in a myriad of theater productions at some of the most prestigious venues for performing actors, including The Second City. Rebekah honed her skills in the comedy genre by doing impov-based sketch comedy at The Second City, which has been referred to as “A Comedy Empire” by the New York Times, and is known for turning out artists like John Candy, Chris Farley, Tina Fey, Amy Sedaris, and countless others. In the multi-award winning film Pooka, Rebekah played the role of Kate, the not so nice high school nemesis of Pooka (Katie Boland), a teenage outcast who seems to be inept at making friends. Directed by Maurey Loeffler (Supernatural Investigator, Malcontents), the film received international praise winning the awards for Best Drama and Best Original Screenplay at the Dixie Film Festival, as well as the Golden Sheaf Award for Best Drama at the Yorkton Film Festival. Most recently, Rebekah played the starring role of Maggie in the film Records for Maggie. The film tells the story of a young woman whose father suddenly dies, leaving behind a slew of unanswered questions and a world-renowned record shop. Co-writer of the film as well as lead actress, Rebekah describes Records for Maggie as, “a coming of age comedy that deals with a lot of the most relatable and universal issues that young women face today.” The film is scheduled to be released next year. The actress is also currently working on season two of the successful Hulu series Long Story, Short. 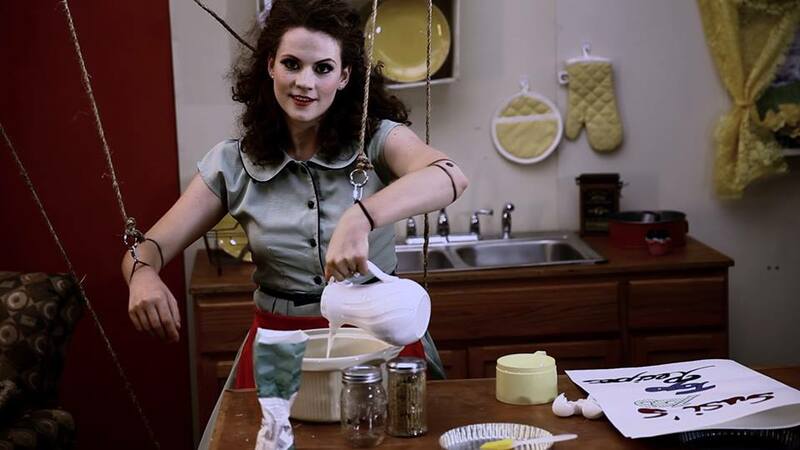 Award-winning actress and one of Rebekah’s longtime collaborators, Katie Boland, originally created Long Story, Short in 2013. The duo also worked together on A Subsequent Life, a film that Rebekah and Katie both co-wrote and directed while also working on the series for Hulu. Rebekah guest stars as Anna, in Long Story, Short, a cool DJ who befriends a quirky trio of young women who comedically weave their way through the ups and downs of early adulthood. Rebekah’s passion for performing, and her drive to create also led her to collaborate with award-winning director Bobby Roth, who is best known as the director of the television shows Grey’s Anatomy, Prison Break, and the Mentalist. Rebekah played the critical role of Lainie in Bobby Roth’s film Reviving Ophelia, which was nominated for a Humanitas Prize. With a flourishing creative career, Rebekah has created a repertoire of work over the last few years that is both remarkable and diverse, and this is just the tip of the iceberg as this young actress has many more upcoming projects under her sleeve. 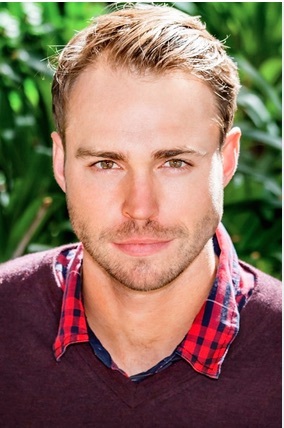 Andrew Steel is the latest Australian actor for Hollywood to watch. With a background that includes Australia’s leading TV shows such as Home and Away and Deadbeat Dads, The Justice Lease as well as internationally renowned films including Twisted, Little Lies, Bargain and Super Awesome! Andrew has even graced the stage performing in major theatrical productions, including the rugby-themed 10,000 Beers and Jane Austen’s Pride & Prejudice. Andrew is setting his sights on even bigger things, as he is set to star as the lead role of Stephen in the highly anticipated Picture Park Entertainment film, 10 Things I Hate About Life. 10 Things is a romantic comedy about a young woman and a young man falling in love with one another just as they are about to kill themselves. In this modern re-telling of William Shakespeare’s Romeo and Juliet, our star-crossed lovers’ crazy shared experiences and similar emotional state forms a bond that draws them both into happiness and takes them on a rollercoaster ride of young love. Like many actors, Marine Lanctuit knew she was meant to be on stage from a very young age. Unlike many actors, however, she has put in the time and effort it takes to reach an astonishing level of success in the entertainment industry. On film, Lanctuit has contributed her talent toward many projects. Some of the most recent productions she has led include: Creed and Lost Angels by writer and director Stan Harrington, Red Poppies, produced and directed by Yaitza Rivera, and Heroines by director Travis Geiger. During her time on Creed and Lost Angels, Lanctuit was able to deepen her relationship with multi-award winning producer, writer and director Stan Harrington. Harrington is currently known for his management of the Stella Adler Theatre, where actors like Robert De Niro, Marlon Brando, Harvey Keitel, and Gary Ross all received guidance and instruction early in their careers. It was at the Stella Adler Theatre where Harrington met Lanctuit, captivated by her diverse abilities as an actress in theatre and on stage. Lanctuit played Isadora in Lost Angels, a story about what a young actress will do to “make it big” in Hollywood: and the peril that can come with this search for fame and fortune. political, physical and emotional violence it wreaks upon victims. In the film, Lanctuit gripped the emotions of the audience in her portrayal of Margaret Thomas, the cousin of Iris, a victim of a violent assault during wartimes. The 2013 film was nominated for best dialogue by Action on Film International USA. Lanctuit leads as Aurore in the film Heroines, which tells the harrowing story of a woman being brainwashed by her psychiatrist as he carries out his highly unethical psychological experiments on her – without her knowledge or consent. When it comes to theatre, Lanctuit is just as qualified as she is on film. In Paris, where she began her career, she starred in a variety of plays, includingThe Importance of Being Earnest by Oscar Wilde, Threepenny Opera by Bertolt Brecht, and The Marriage of Figaro by Beaumarchais, “a play with a cult following in France,” Lancuit described. In the United States, Lanctuit further developed her theatrical abilities in several productions directed by Oscar-winning producer and director Milton Justice. Lanctuit expressed that she learned an enormous amount about how to deepen her talent as an actress during her time working with Justice. Considering his long list of accolades, this is not surprising: in addition to winning the Academy Award in 1987 for Best Documentary, Down and Out in America, Justice has produced innumerable titles in television and film. The plays in which Lanctuit partnered with Justice include: Our Town by Thornton Wilder, Book of Days by Lanford Wilson, and Three Sisters by Anton Chekhov. Of these plays, Lanctuit said that her role of Irina in Three Sisters was, “without hesitation,” the favorite of all the roles she’s ever played. During her theatrical career, Lanctuit has also worked closely with award-winning actor, writer, producer and stage director Tim McNeil, best known for his work in the film Forrest Gump. McNeil admired Lanctuit’s talent so much that he cast her for the lead role in two of his plays: Orange Flower Water, and The Odd Couple. Additionally, the film Red Poppies was adapted from McNeil’s script. Currently, Lanctuit is working on Wandering Stars, directed by James Zsignmond. After wrapping this production, she has already booked film work for the next three years! Marine Lanctuit has accrued quite an array of accomplishments during her prolific acting career, and there is no end in sight to her extraordinary level of success. We look forward to seeing where this spotlight takes her next.